Hope you hace subcribed to the website to get notification of new post. I really appreciate this post. I have been looking all over for this! Thank goodness I found it on Bing. You've made my day!Thanks again! These recipes are all super, thank you very much for this good work.. I love your website and your recipes. I've learned a lot from you and tried some of your recipes and my husband (an Igbo man and I'm Yoruba) enjoyed the dishes very much. The only problem is that we can't buy the fresh vegetables required for some dishes here in Canada. I cooked Ugwu with Uziza the other day using dried versions. I also bought some dried Oha leaves which I plan to cook next.Please keep up the good work. Anytime I visit your site, I get hungry and miss home a lot! YOU ARE SUPER VERY ATTRACTIVE, MOUTH WATERING AND BEAUTIFUL SITE. YOU ARE TOO MUCH. BIG KISS AND HUG. Please how can i make Kpomo Alata?? Hi good morning and thanks for your helpful recipes. Please can i get recipes for Akidi and fio-fio thanks and God bless you. Hi dear, what tribe is the food from? Hi good morning and thanks for your helpful recipes. Please I can get recipes for Akidi and fio-fio thanks and God bless you. I love this site.I hope to learn a lot more about cooking Nigerian dishes. What info do you need?You'll find the recipe by clicking on '' goat meat pepper soup'' above.Do let me know if you need any other help. I'm glad I'v find u again.u're jst d best n I love u 4 that. Look for afang soup on the list above . I love everything about this Blog, Thanks mama Nky Lily Lete for sharing all these. Love you mama. Hi I'm a Nigerian boy who hasn't cooked for a good 8 years since I left Nigeria and when I tried the Moi Moi recipe it was quite a disaster! The paste came out too rough and it didn't taste anything like moi moi! Please help! Hi Ebuka, I don't think you made use of the recipe on our page.And if you made a paste with ''beans powder'', then you can't expect to get the same taste as the real thing, cos it contains preservatives. Next time, make use of fresh beans and follow our recipe as it is, and you won't have any problems. Any advice for a fellow Nigerian studying in a Canadian University who is tired of searching for a food that tastes remotely as the one back home?And thanks for these lovely dishes! Hi dearie, to get food that tastes like the ones back home, you'll have to cook them yourself and also use ingredients from home. I like to buy my ingredients from African stores(owned by Nigerians). I tried the Gizzdodo recipe and it turned out very yummy which my hubby tagged as 'gbara-gbara'"cos i printed out the recipe and used it as a guide to do my cooking. Also introduced my friend and she commended on it.It was delicious. More kudos to u…..keep it up Nky. God bless ur home for us cos u r a blessing. Nky, I quite agree with you on the ease in your cooking steps. But I must commend your even more for the basic and a major contribution to the growing number of busy Nigerian youths in several parts of the world. Particularly Nigerian Youths that missed out learning how to cook from their parents while growing up for one reason or the other. They now have a second chance. This is saying a BIG "Thank You"on their behalf. You and your peers have filled up a steep void in our food culture. I am 100% american. I am married to a Nigerian man. I cannot cook any Nigerian food. Please help! Hi Mikeala, the recipes on this website are easy to understand and will surely help you. Do let me know if you encounter any problems with any of them. I am 100% american and I am married to a Nigerian man. I cannot cook any Nigerian food. Please help!! I'm getting married to a lovely nigerian man… I want to be able to cook the food he loves… Everything looks delicious but I have on question. I'm allergic to curry…is there anything that I could substitute the curry powder with? Without sacrificing taste. You have some really helpful tips and the graphics are just awesome – makes you want to eat right off your screen. Could you please direct me to all your Nigerian banana recipes. Thanks dearie :)For banana recipes , type ''banana'' in the search box above and all banana recipes will come out . Wonderful! wonderful!! recipes. Trust me to visit this site everyday as I am always at a loss of ideas and hubby is already complaining that my food is getting monotonous. Not easy combining 9 – 6 job with ensuring variety, is it?please, do an article on best ways to preserve good food and still get fresh taste. Should I "half cook" and freeze? Thanks dearie, it is not easy combining 9 – 6 job with family , but it is ''do-able'' :). If you'll be cooking any meals with vegetables, such as Nigerian soups, make sure the veggies doesn't cook for too long, so that when you reheat it from the freezer, it doesn't taste bland or overcooked.The freezer is every woman's best friend, but don't half cook your food, try investing in a microwave(if you don't have one already) it's a great way to reheat food without over cooking it. hallo and thank you for everything you have done here , its really amazing but i have got a question or would a problem …my blender can not make the ede (cocoyam) smooth like yours that you showed here and other things like pounded yam and beans for moi moi, so please what is the name or make/mode of blender you used?please help a sister out thanks. Hi dear, It should work on any blender with a Jar. Just make sure you work in small batches,that's the key.My blender make is LAZER, let me know how it comes out on your next try. Weldone ma, pls can I take green juice made frm spinash, carrots n apple while trying to conceive? Yes dear you can, it's actually healthy for you. You are indeed an angel sent by God to save my marriage.May God always meet you at the point of your needs.You are the best. So gd to hv all dis recipe, keep on d gd work NKY really appreciate n hlps me alots. This is Awesome NKY, really appreciate all d recipe keep on d gd work! God wll continue to give you more wisdom. Pls can I take Green juice made from spinach, carrots n apple while trying to conceivE? Please don't stop shouting oo 🙂 . I'm so glad to be of help and let me know if you try any of these recipes . I LOVE this site! Keep up the good work! Can't wait for your weight loss recipes. My hubby and I are trying (him more than me) to lose weight but would love to make lighter versions of these meals. Thanks again. Thanks dear, the recipes are coming soon. Hi Nky, love the recipes. I love cooking and this website has increased my interest in cooking. Could do some of the dishes, but you have really clarified some queries i have. Thankx, worth it. Many thanks Aunty Lily. You are just too much! More recipes Pleeeeeeeeeeease! God bless u, bless u, bless u. Our young ladies can learn from these recipes and promote / save their marriages. No more excuses for not knowing how to make Nigerian dishes. 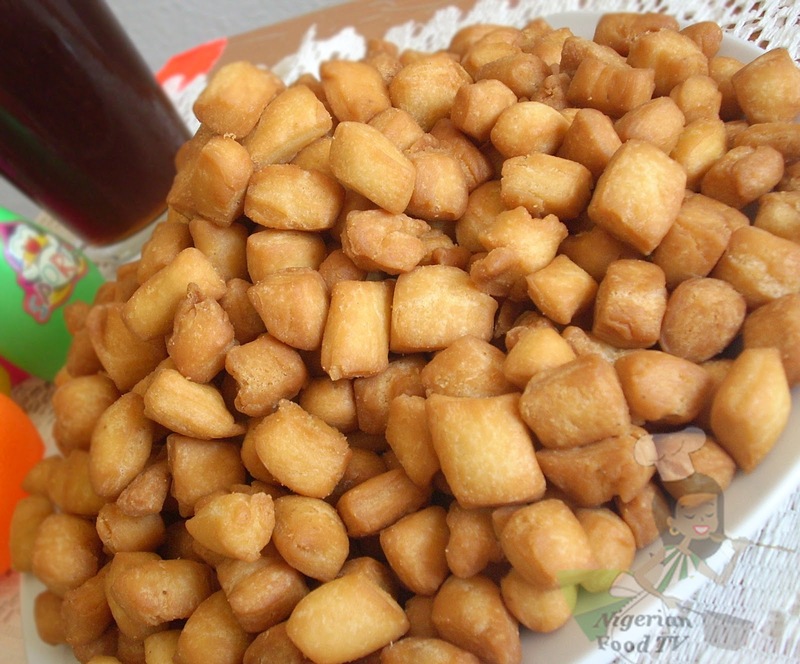 You are every young Nigerian wife's pride n saviour, especially those who are lacking in these culinary skills! May you never lack! Amen and Amen! pls upload video on how you prepare your own salad for eating rice anytime i make it it diesnt taste like d one in fast food. Thanks for sharing! I've more knowledge in most of recipes. God bless u. May God continue to bless you in every way. More recipes please. Hi! Which recipes are good for weigh loss? I'm an american but I love nigerian food! U are just too much. Just a few people can do this, i mean giving out their entire (secret) recipe. May God bless you. I'm on a weightloss program so I'm going to try out the green leaf healthy drink. Also love the yam fish pepper soup recipe. Many thanks. Fantastic and brilliant recipes… proud to be a Nigerian…. Thanks soo much. i like your site. You are too much..I enjoy every bit of your site and shows…Cooking is an hobby for me and you have definitely helped enhanced it the more…Thank you…Remain Blessed.